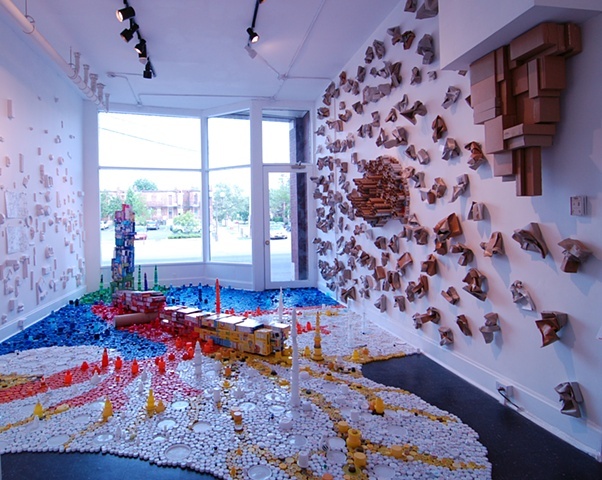 This installation was at the ROY G BIV Gallery in Columbus, OH. I attempted to create an image from the caps and a scene of a fallen structure (tree) made from post-consumer paperboard boxes. The idea was to fill the space and surround the viewer.